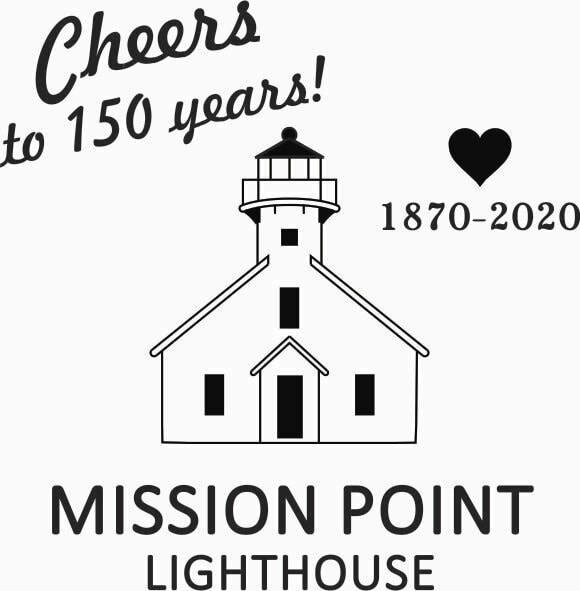 ​The Mission Point Lighthouse Friends non-profit in conjunction with Bowers Harbor Vineyards is sponsoring our 4th Annual Art Competition to design the bottle label art of this year's Mission Point Lighthouse Wine! After a juried assessment, the selected Finalists’ artwork submissions will be displayed at a wine and cheese open-house reception ($10/person) on Friday, April 12th at 6:00pm at Bowers Harbor Vineyards, where the winner will be chosen by popular public vote. The winner will have their name and artwork featured on a special release of Bowers Harbor Vineyards Pinot Grigio and will receive a cash award of $250! ​The Final judging party is April 12 at 6pm at Bowers Harbor Vineyards. 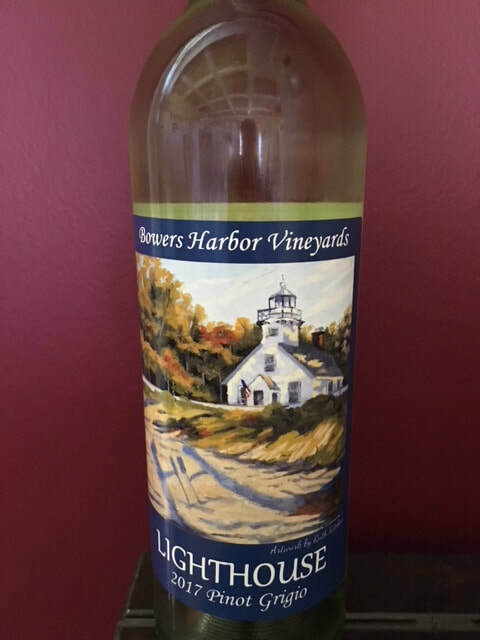 The 3rd Annual Lighthouse Art Wine Label Competition Fundraiser was held in April 2018. This is winner Ruth Kitchen. Ruth's fine painting is on the art for the limited release 2017 Pinot Grigio Lighthouse Wine. 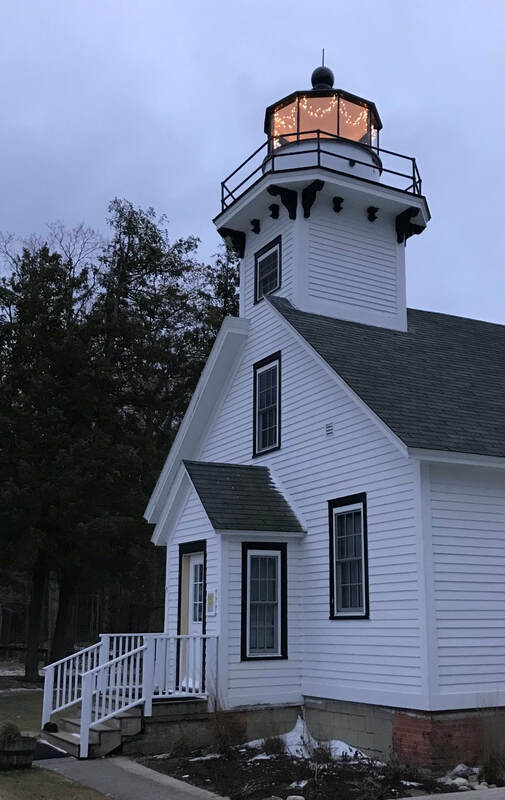 Since Fall of 2016 we have been making changes to the south side of the lighthouse to fulfill a grant from SHPO to make the exterior of the house like it was in 1910 - small storage building moved to side of house, rear sidewalk installed, flowers planted around the house and new wood and wire fencing. More to come . . .
Log Cabin Day, is June 30, from 11:00 a.m. until 3:00 p.m. The Hessler Log Cabin in lighthouse park and the Mission Point Lighthouse, as well as the Dougherty Mission House, will be open for viewing and tours. Exhibitors will be recreating crafts from the nineteenth century at each location, and some refreshments will be available. 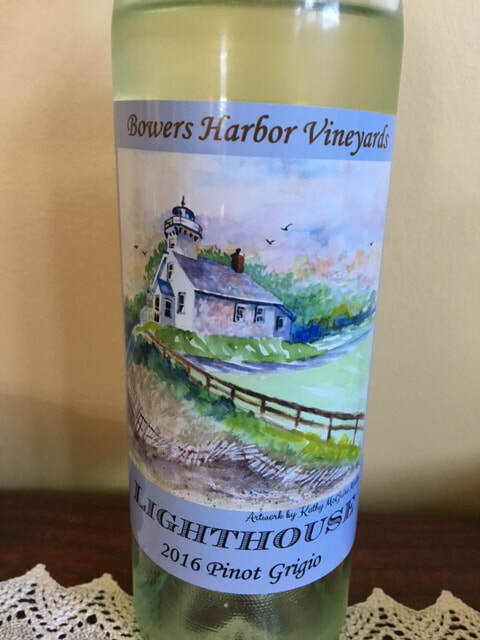 Released June 2018 the 3rd Lighthouse Wine at Bowers Harbor Vineyards. Label art by Ruth Kitchen. Winning art from 2017 by Kathy Marks. 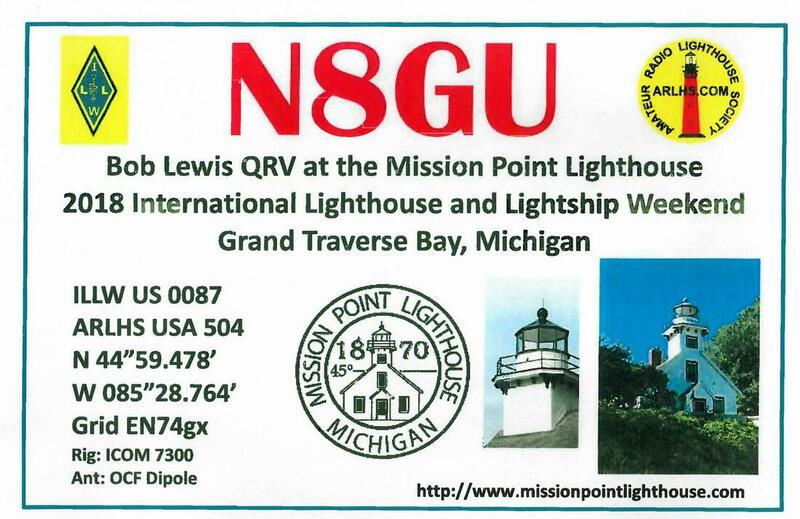 On Sunday, August 11th - when you visit both Grand Traverse Lighthouse in Northport and our Mission Point Lighthouse, do the climb and you will receive a special gift. The lighthouses are 65 miles apart. The Lighthouse Challenge is on this day only! The Michigan Lighthouse Festival celebrating Michigan Lighthouses and honoring their contributions to our story, will be August 2 - 4, 2019 in the Port Huron region. 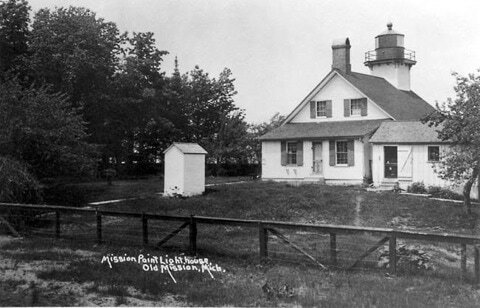 Fort Gratiot Lighthouse is the 2nd oldest on the Great Lakes Est. 1825. Event begins with a special dinner and more!